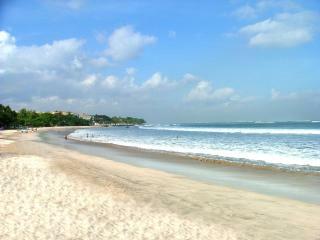 Grand Inna Kuta is one of only a few beachfront hotels in Kuta, situated adjacent to the Kuta Art Markets a short drive from the International Airport at Denpasar. 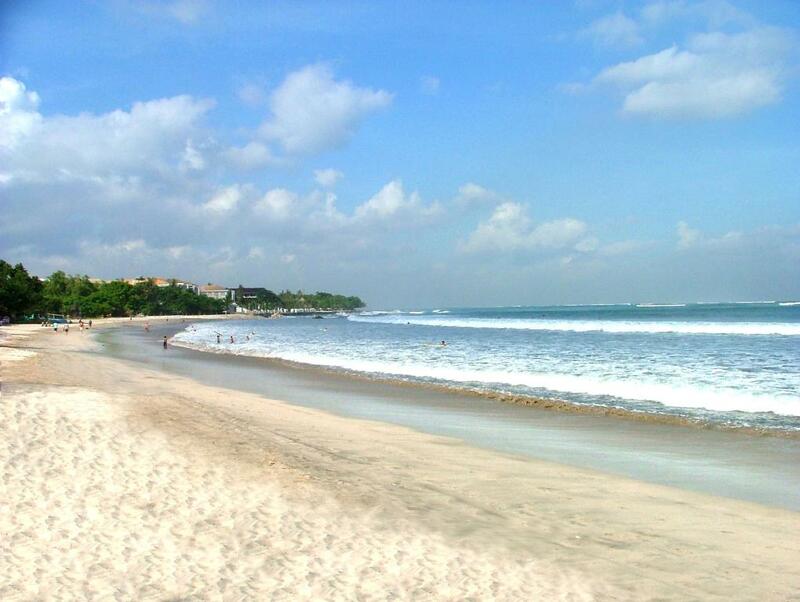 A short walk from Grand Inna Kuta brings you to the entertainment and tourist district, where you will find a wide choice of restaurants, bars, cafes and shopping. There are also local artists painting beautiful Bali scenes, clothing, beads and things you never imagined can be found in the beachside markets and roadside stalls. 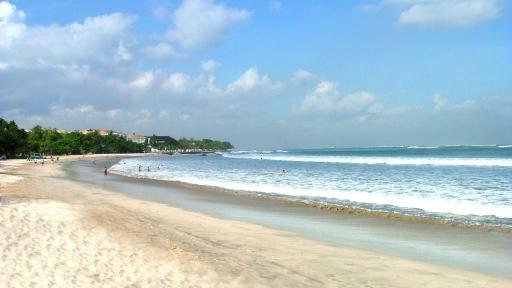 This Bali accommodation offers guests a choice of rooms including Superior and Deluxe Rooms, and Executive Suites. 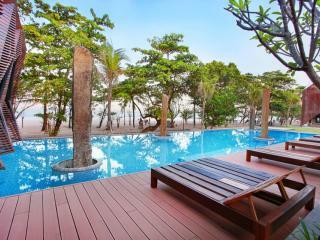 The rooms have garden, pool or sea views and feature all the modern conveniences of home. 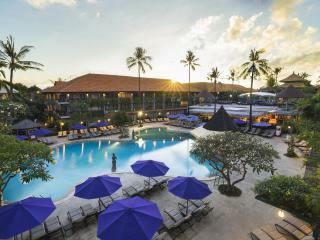 Grand Inna Kuta also has a great range of onsite facilities including an outdoor tennis court, 2 swimming pools, a children's pool, a restaurant, cafe and a pool bar. Guests can indulge their senses with a treatment at the Spa and Massage Hut. With a superb beachfront location to watch the famous Bali sunset and walking distance to Kuta's hottest attractions, Grand Inna Kuta is a top choice in affordable accommodation on your next family holiday or romantic getaway to Bali. The Bali Wing rooms feature more traditional Bali decor, styling and tones. Superior Room: Bedding is 1 Double Bed OR 2 Single Beds. Maximum room capacity is 3 Adults & Children. 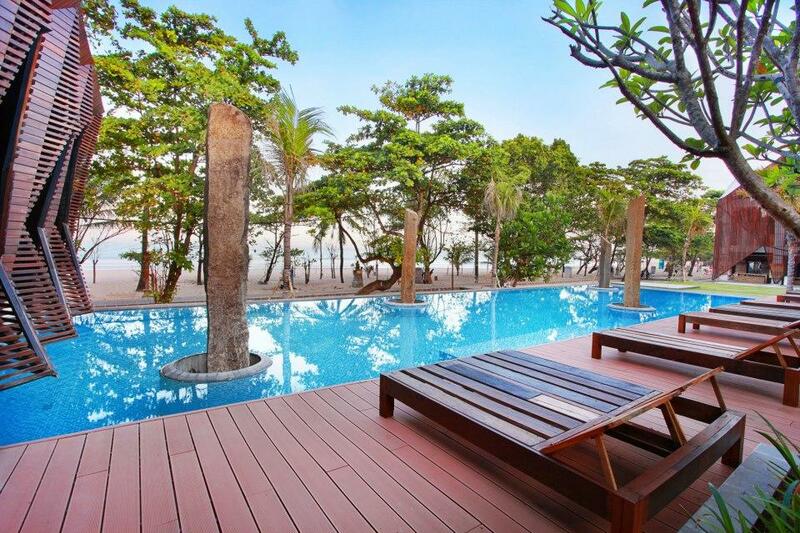 The Beach Wing features modern room styles with views over the beach and the sea beyond. Deluxe Room: Bedding is 1 Double Bed OR 2 Single Beds. Maximum room capacity is 3 Adults & Children. Deluxe Pool Access: Bedding is 1 Double Bed OR 2 Single Beds. Maximum room capacity is 3 Adults & Children. Executive Suite: Located with either Garden, Pool or Sea Views subject to availability at check-in. Bedding is 1 Double Bed OR 2 Single Beds. Maximum room capacity is 3 Adults & Children. 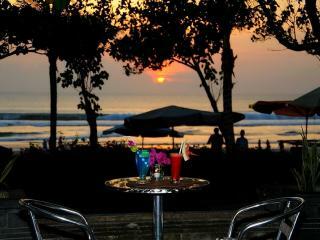 Breeze Resto: Located by the beach, overlooking the beautiful sunsets and serving a variety of cuisines. Enjoy live music on most nights. Open 24 hours. 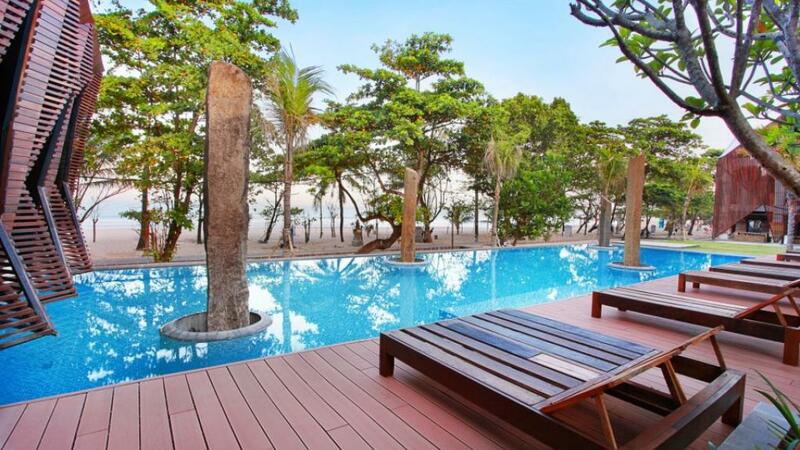 HQ Beach Bar: This trendy beach bar has direct beach access. 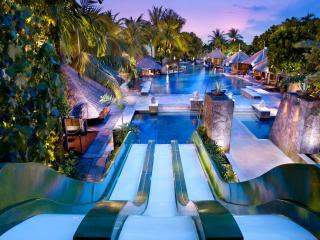 Kelapa Pool Bar & Snacks: Grab a quick snack and refreshing drink as you enjoy the cool pool. Sunken Pool Bar: Enjoy drinks and cocktail by the pool with beautiful sunset view. SPA & Massage Hut: Massage and treatments available.